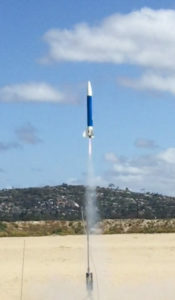 DART supports low-power and mid-power model rocketry for the greater San Diego region. 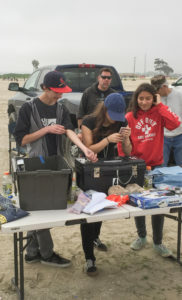 We also work closely with the local Tripoli prefecture (http://tripolisandiego.org/) for high power rocketry. 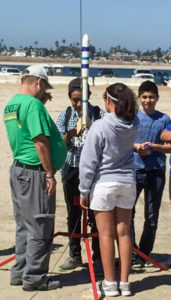 DART has launches on Fiesta Island approximately twice a month (except for our summer hiatus). The launches are free and open to the public. Anyone may participate in the launch, or just to come by and watch. 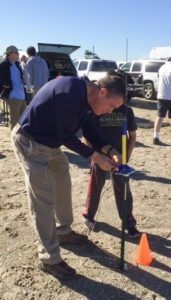 If you attend a DART launch, you won’t need any permits. Just show up and fly your rockets! DART already has the required permits and forms with the SD Parks department and Fire department. We also provide launch pads and a central launch control. You’re welcome to become a member of DART, although this isn’t required to attend DART launches. Click on the “Membership” tab for more information. Please contact us if you have additional questions. We hope to see you at a future DART launch! July 16 will be the 50th anniversary of the Apollo 11 launch. 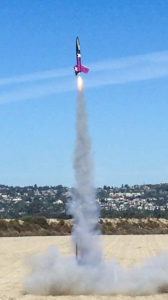 To commemorate this amazing rocketry achievement, DART will host a “Rockets of the Space Race” launch on June 16, our last launch of the season and exactly one month before the anniversary of Apollo 11’s launch. Bring your Saturn Vs, Saturn IBs, Mercury Redstones, Little Joes, Atlases, and Gemini Titan IIs. Bring your Soyuzs, Vostoks, Protons, and N-1s. While you’re at it, bring your Space Shuttles and Falcon 9s. Launch any scale up to a G motor. Anything larger can be shown as a static display. There will be no formal program. Just bring your historic rocket(s) and prep and launch at your leisure. If you can convince someone with a Vostok to race your Mercury, or a Saturn to race your N-1, we’ll do it! This is not an exclusive launch. Non historic rockets are also welcome. If you don’t have an historic scale rocket yet, Discount Rocketry has a good selection in their trailer. You can also purchase from them online (www.discountrocketry.com) to ship or pickup at the next Fiesta launch.